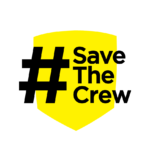 The next central Ohio city joined the list of those expressing official support for the Columbus Crew. Powell passed a proclamation on Tuesday, joining cities like the Gahanna, which passed Resolution RES-0012-2017. 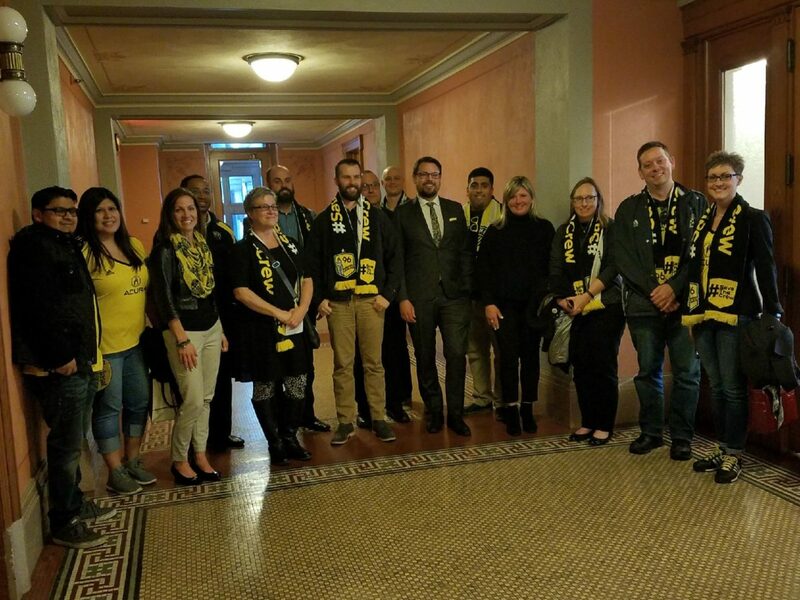 In addition, the Ohio General Assembly introduced Senate Resolution 342. 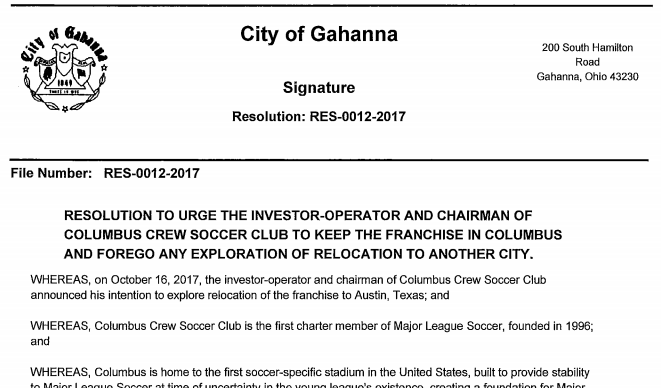 Since the original announcement that the Columbus Crew ownership was evaluating a relocation to Austin, a number of local governments have taken actions in support of keeping the team here in central Ohio. Following is a list of those communities, and the resolutions that they have passed. More communities are expected to join this group. If you’d like to urge your local representatives to take action, please contact your representatives using this contact list.